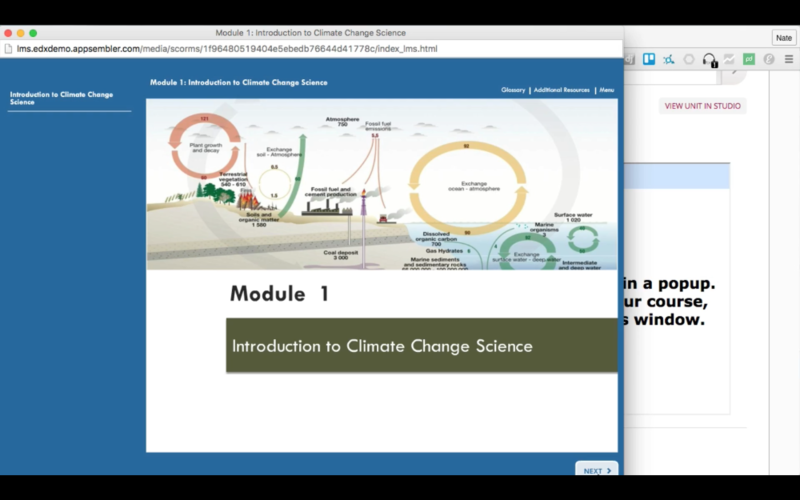 When building an online course, you may be using SCORM content. Open edX has the perfect mechanism for allowing you to upload your SCORM content directly into your course - the SCORM XBlock. Once you have the XBlock installed, it's really easy too use. Here's a little step-by-step of how it works. 1. 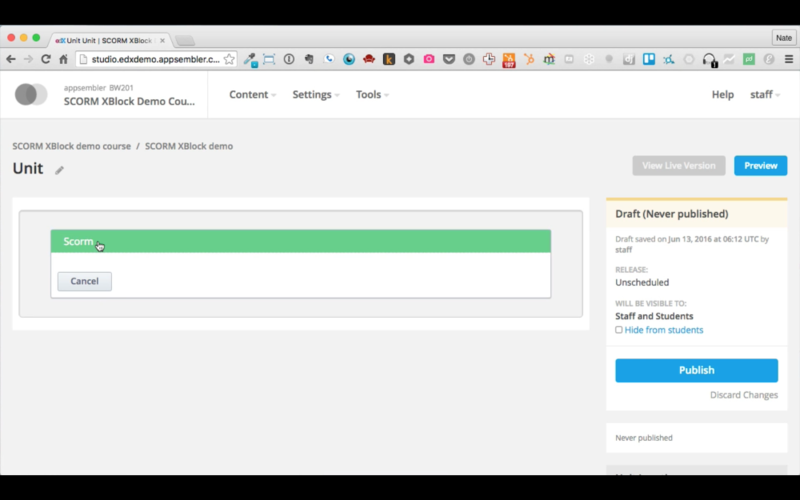 In edX Studio, verify that the Subsection you'll add the SCORM block to is a graded Subsection. Change "Not Graded" to "Homework", "Lab", "Midterm Exam", "Final Exam", or any other graded type. 2. In edX Studio, create a new unit, and select "Advanced" under the list of components. 2. 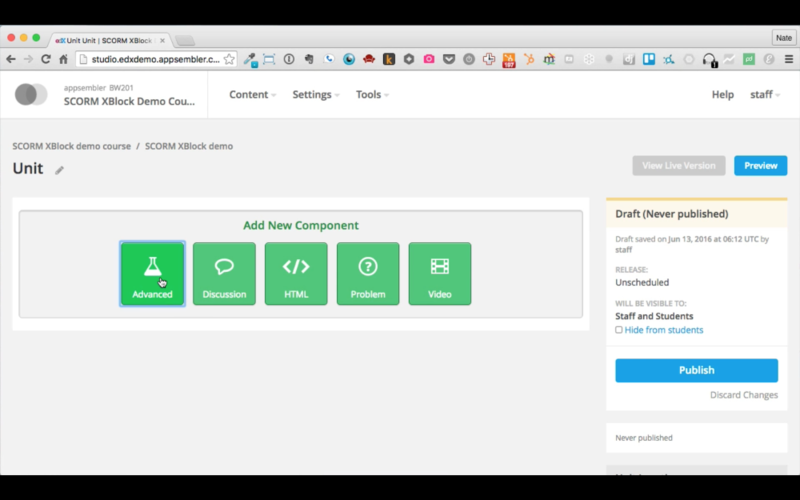 Choose the SCORM XBlock. 3. 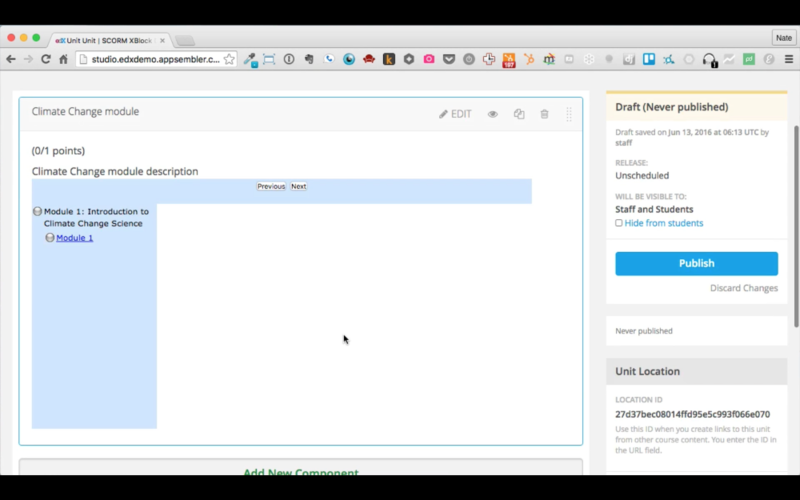 Choose the name and description of your SCORM module, then click "Choose File" to upload your SCORM package. 4. 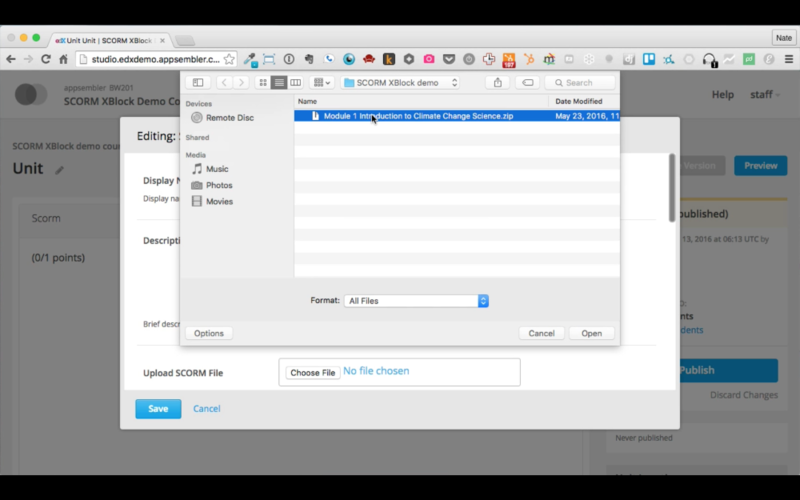 Select your SCORM content, which should be in the form of a .zip file. 5. Adjust any parameters you wish, such as the size and display type. The number you assign to the "Weight" field will be the point weight in Open edX. 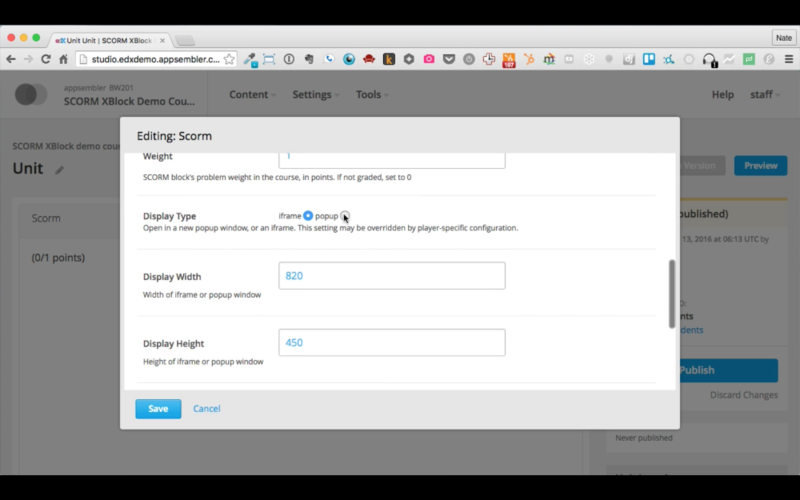 Scores internal to the SCORM package will be translated to a percentage of this Weight. For example, if a student receives 70 out of 100 points in the scoring system internal to the SCORM course, and the Weight is set to 5, the student will be graded as achieving 3.5 points for the Open edX Unit. This point score will be reflected on the student's Progress page. 7. 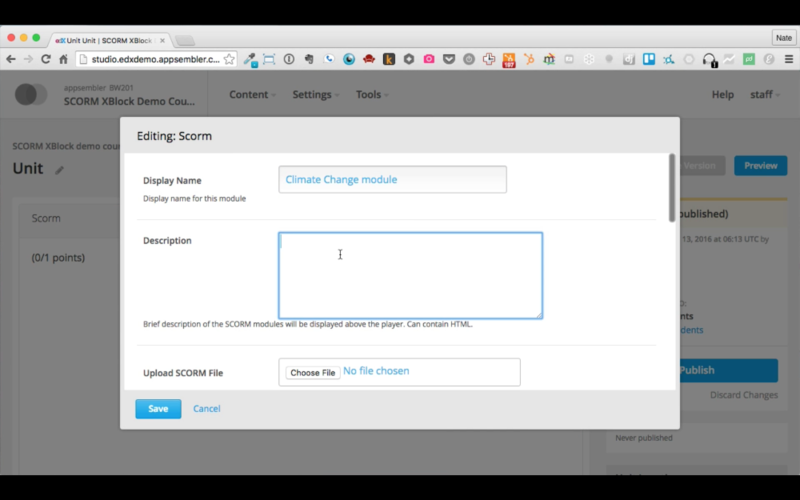 When your learners click on the Module link, the SCORM content immediately pops up without having to navigate away from Open edX. That's all there is to it! Check out the demo below to see the XBlock in action.